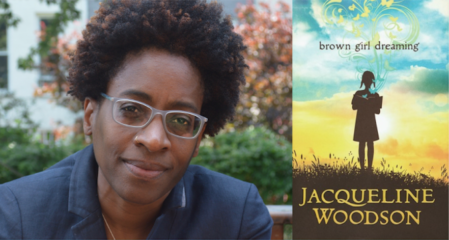 We are hosting award-winning author Jacqueline Woodson on April 4 for the last event of our SOLD OUT 2018/2019 season of Portland Arts & Lectures. 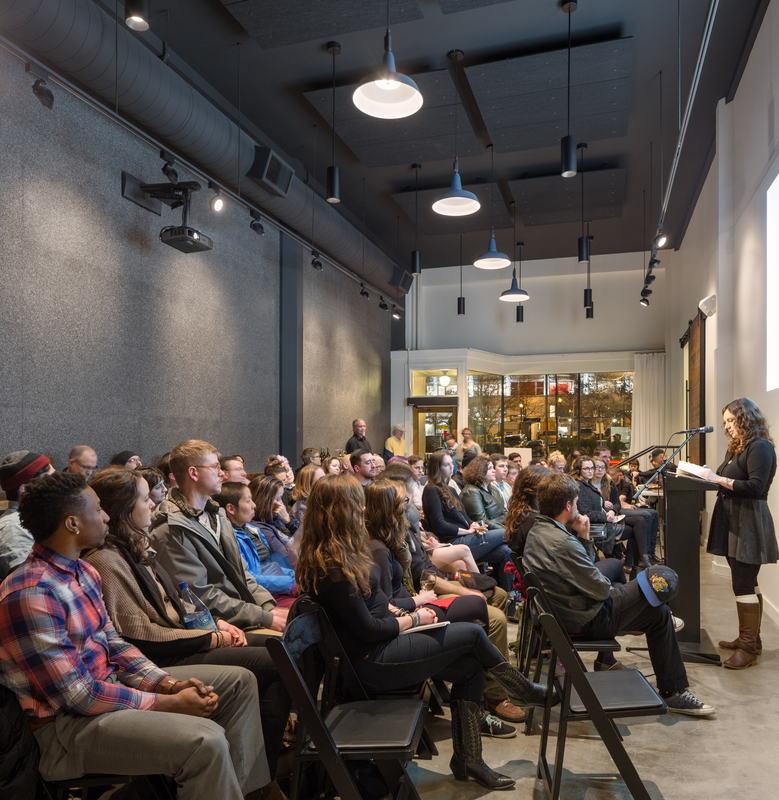 During her time in Portland, Woodson will visit with students at Roosevelt High School and talk with OPB’s Dave Miller during a live Think Out Loud event at our community space. As a child she loved to read, though she was a slow reader; she would reread the same books over and over again and go “deep” into the words. This intense study was her first step to becoming a writer: “Every time you revisit a book you get something else out of it. The more familiar I got with them, the more accessible the act of writing was.” She knew she loved writing more than anything, though she still assumed it would be a hobby and not her primary career. With that assumption, Woodson majored in English with the intention of becoming a teacher, graduating from Adelphi University. While in school, she began working on the manuscript that would become her first book, though she put it aside when she went to work for a children’s packaging company. While working there, she enrolled in a children’s book writing class at The New School, where her work got the attention of an editor who bought the book. Her middle-grade novel Last Summer with Maizon was published in 1990, launching a decades-long career. Woodson has averaged more than a book a year since, with over thirty in print, the majority of them award-winning. It would be impossible to list all of her books, and all of the awards they have won, in this space, but here is a selection: From the Notebooks of a Melanin Sun (1995) earned a Coretta Scott King Honor and won the Jane Addams Children’s Book Award; Miracle’s Boys (2000) won the Los Angeles Times Book Prize, the Coretta Scott King Award, and was adapted into a mini-series; Hush (2002) was a National Book Award finalist, as was Locomotion (2003); Coming On Home Soon (2004) was a Caldecott Honor Book and a Booklist Editors’ Choice; Show Way (2005) earned a Newbery Honor, as did Feathers (2007) and After Tupac and D Foster (2008). Image Award, a Newbery Honor, the Coretta Scott King Award, and the 2014 National Book Award for Young People’s Literature. Another Brooklyn, for adults, followed in 2016 and was a National Book Award finalist. Her most recent work is the picture book The Day You Begin. Her awards include the Margaret A. Edwards Award for lifetime achievement, the 2018 Astrid Lindgren Memorial Award, and the 2018 Children’s Literature Legacy Award. 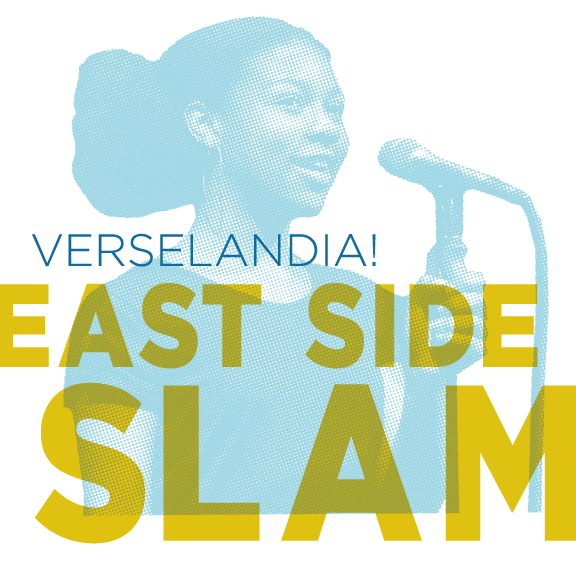 From 2015–17 she served as the Poetry Foundation’s Young People’s Poet Laureate, and she is the 2018–19 National Ambassador for Young People’s Literature. 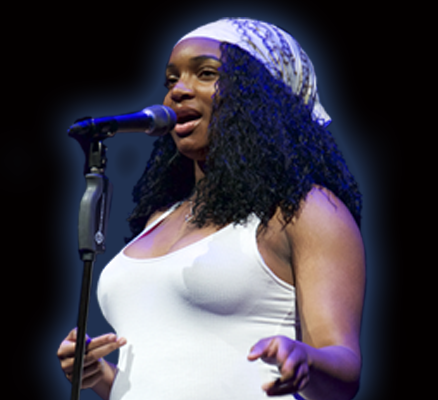 Woodson lives in Brooklyn with her family: her partner, their two children, two dogs, and a cat. For more information about this speaker, please visit prhspeakers.com.